A river cruise is an excellent way for sightseeing that every traveller should include in their itinerary when it comes to travelling in Singapore. Other than towering buildings and unique attractions that can be found in the Lion City, travellers can also experience the exciting river cruise. Water B ferry entirely manages this ferry service for an alternative view of this beautiful nation. Water B Cruise is a famous ferry company that popularises the exploration of a river cruise in the city of Singapore by allowing passengers to see broader views of this bustling metropolis. The company also provides a booking service of the entire boat for special occasions with family and friends. 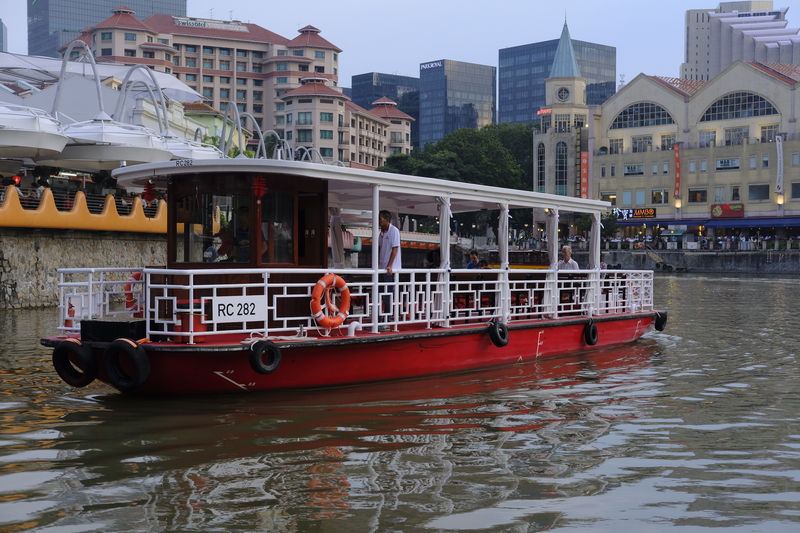 Ever since Water B began this successful ferry service operation, everyone gets a chance to explore Singapore with an unexpected river cruise experience and get to check out some of the city’s significant landmarks. Water B is determined to serve their passengers with spectacular landscape views of the Singapore skyline. Visitors of Water B cruise can board the boat at Fort Canning Jetty. The boat will sail by some notable landmarks including Riverside Point, Parliament House, Asian Civilizations Museum, Merlion Park, Esplanade Theatres on the Bay and more. What makes this experience more fun is that passengers will be accompanied by onboard audio and visual commentaries on the interesting facts about the city. There are different types of ferries offered by Water B namely the Round Cruise, Chartering, Shuttle Service and Laser Lights. Each cruise serves different features and purposes as the name states. The standard amenities provided on the cruise include seats, life-jackets and lifebuoy. However, the facilities may differ by the type of boat booked. Passengers are required to inform the staff or boat captain on which jetty they would like to disembark. The two main boarding points are located at Fort Canning Jetty and Eu Tong Sen Jetty. The cruise duration takes an approximated time of 40 minutes. Each passenger will be charged SGD25 for return ferry ticket and the ticket is only valid for one-day use between 9:00 AM to 10:00 PM. Ferry tickets for a river cruise with Water B cruise in Singapore can be booked at any time and place without hassle through Easybook. Our online booking platform is easy to navigate with the entire process taking not take more than 10 minutes upon logging in as a member. Instead of queueing up to buy the ferry ticket over the counter, save time by making the reservation online. Ferry schedules and ticket prices for Water B are available and open for review on Easybook website today.